Knowing the weather is only going to continue to get worse as we transition into Fall, I packed Hailey (my chihuahua) up into the car and headed out to the countryside to buy some local apples and spend a little time outdoors before monsoon rain season begins. On our way to the Oregon Heritage Farm we stopped by the South Store Cafe for a bite (and by we, I mean I stopped for a bite, Hailey waited in the car). 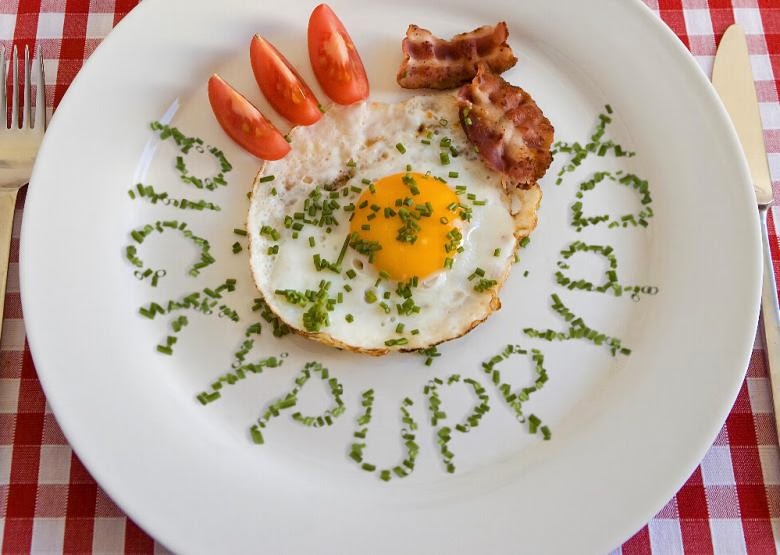 You had me at "Crispy Bacon"
I wasn't sure what to expect. The South Store Cafe is an old small farm-style house located on a corner in the middle of nowhere, my GPS said I was in Hillsboro, but I never would have guessed that's where I was based on how I got there. It had just started to rain as I pulled into the gravel parking lot, so I ran inside to see what they had to offer. The interior of the South Store Cafe reminded me of the inside of exactly what it looked like from the outside - an old farm-style house, right down to the wood plank flooring. I'll be honest, I didn't do a great job looking at the menu, after reading the sign outside my heart was set on bacon + turkey + brie + Honeycrisp. They had many espresso offerings for those in need of a caffeine fix, and a pastry case with cookies and scones. 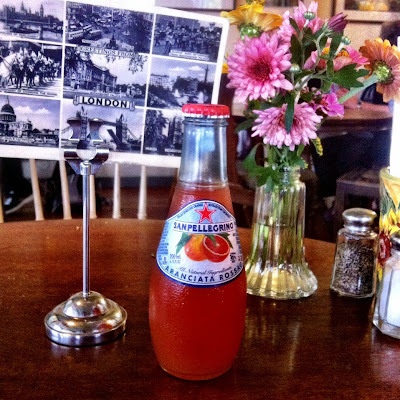 I ordered the daily special, a 1/2 bacon, turkey, brie & Honeycrisp apple sandwich and settled down with a bottle of San Pellegrino Aranciata Rossa to wait for its arrival. Each table has a small vase with fresh cut flowers - this kind of made it feel as though I had stopped in at a neighbors place for a quick bite, which may have been exactly why they did this. My sandwich arrived and was DELICIOUS! 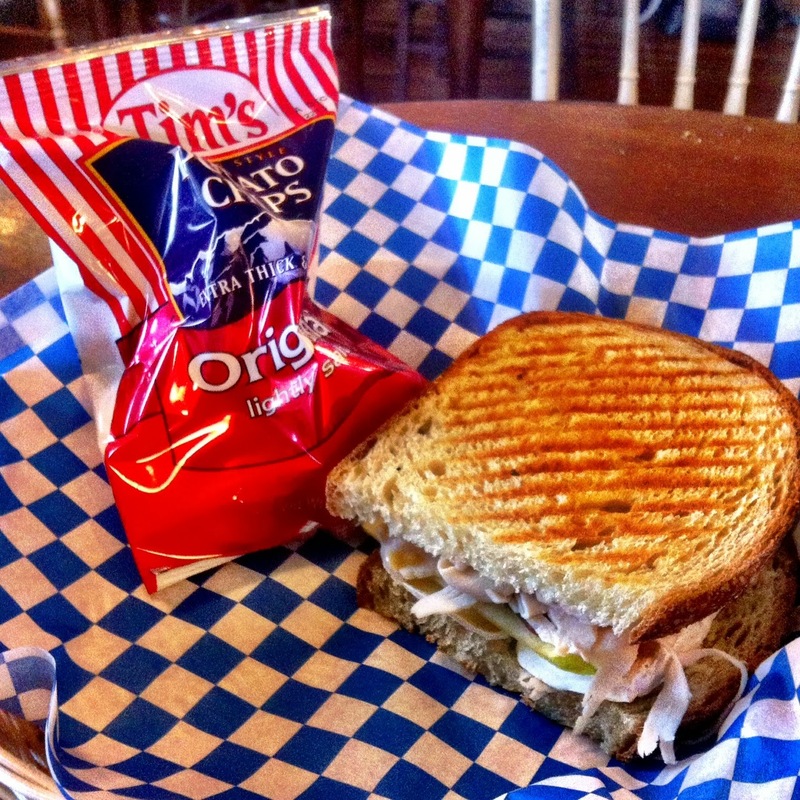 The brie was warmed while the sandwich was grilled and was a nice contrast to the cold, crisp, Honeycrisp apple inside. The bacon was, true to the sign outside, crispy. There was only one slice of bacon on the sandwich - the only thing that would have made the sandwich better is if there had been two slices of bacon on it. I'm not a fan of potato chips, especially Tim's (I find them to be bland and greasy and incredibly boring). After lunching we headed over to the Oregon Heritage Farm, where Hailey fell in love with the pigs at the petting zoo (which was totally weird, she was nuzzling, nose to nose with one of them). Unfortunately it was pouring and by the time I went to my car to get my phone so I could take a picture the pigs had hidden themselves away. 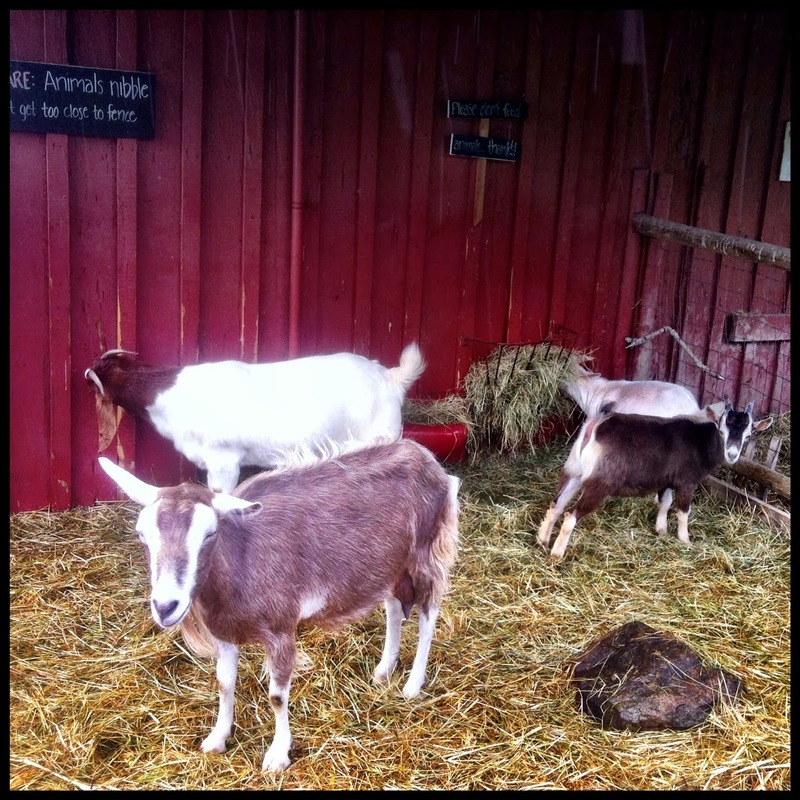 These goats were interested in Hailey, but she couldn't care less about them. She was all pig love. 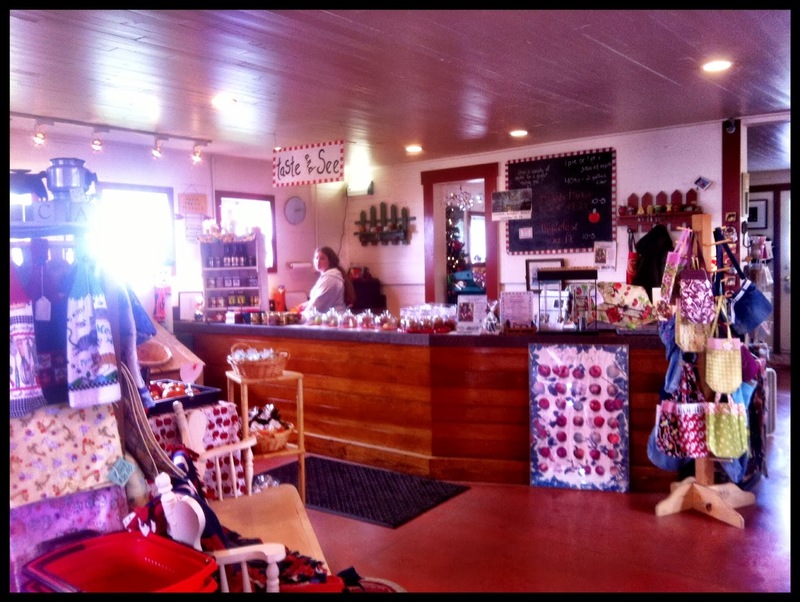 The Oregon Heritage Farm has this cute little shop where they cell cider, caramel apples, and many hand crafts and seasonal items. They also sell fresh cut flowers. 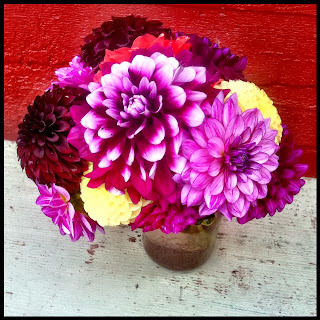 These were GORGEOUS, but I knew they wouldn't survive the trip home, so they had to stay at the Farm. 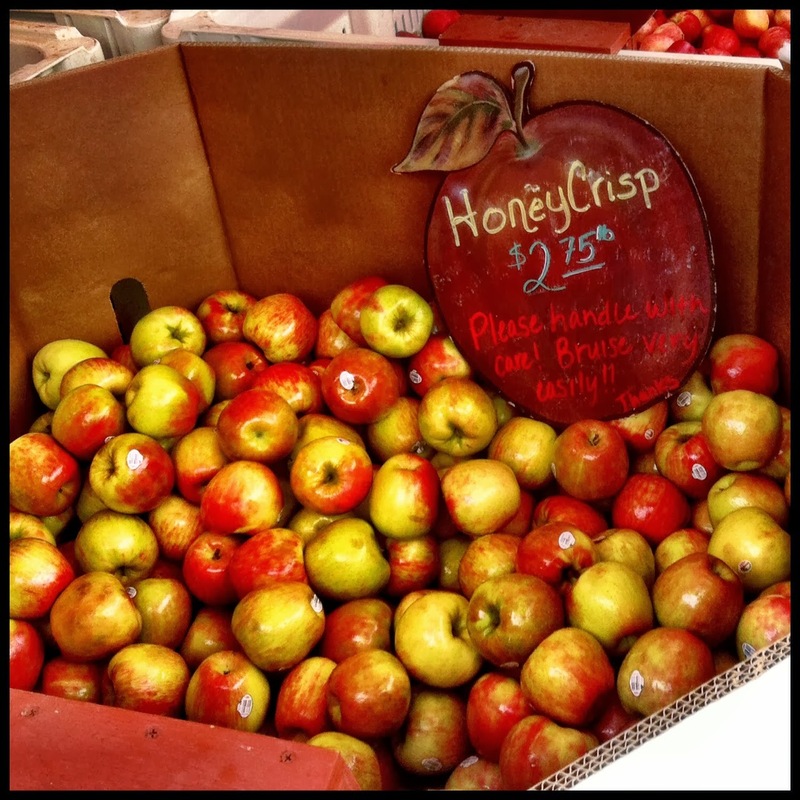 These Honeycrisp apples were AMAZING. They were much larger than my fist, and weighed about a pound apiece. I bought three and ate them as meals throughout the week. If you're ever at the South Store Cafe, I recommend you stop by the Oregon Heritage Farm. 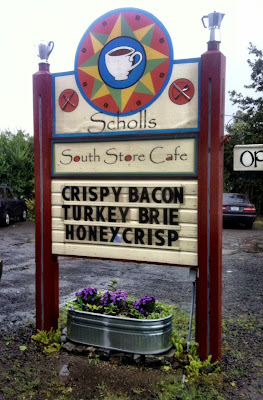 And vice versa, if you're ever at the Oregon Heritage Farm, go grab a bite at the South Store Cafe, they're just down the road from each other and worth the trip to the middle of nowhere. 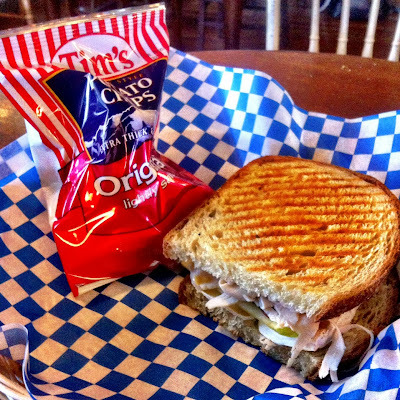 I had: 1/2 Turkey, bacon, brie & Honeycrisp apple sandwich - $4.95, San Pellegrino - $2.00. If you'd like to check out The South Store Cafe for yourself, it's located at 24485 SW Scholls Ferry Rd in Hillsboro. They're open Tuesday - Friday from 7:30am - 2:00pm and Saturday and Sunday from 9:00am - 3:00pm. If you'd like to check out Oregon Heritage Farms, they're located at 22801 SW Scholls Ferry Road in Hillsboro. They're open 10:00am - 5:00pm Monday through Friday.